Downtime is a period during which machinery or equipment is not working and production is stopped most common due to a power outage, or equipment breakdown. Unplanned downtime is estimated to cost $50 billion annually, with equipment failure accounting for 42% of the total. A company’s “true downtime costs,” or TDC, are the total wasted business costs and lost business opportunities sustained while production is on hold, as well as the resources needed to ﬁx the cause of the downtime incident. Downtime is divided into two categories: tangible and intangible. • Repair or replacement equipment costs and associated labour. • Lost production and output. • Increased labour costs, and the potential cost of overtime to counteract lost output. • Higher overall production costs due to bottlenecks in the manufacturing process. • Late delivery charges for delayed shipments. • Wasted materials and product scrappage costs. • Reputation damage, due to missed deadlines and perceived unreliability. • Responsiveness, less downtime allows a company to be more responsive, satisfying customers more efficiently. • Stress, increased downtime causes stress for both machines and employees. 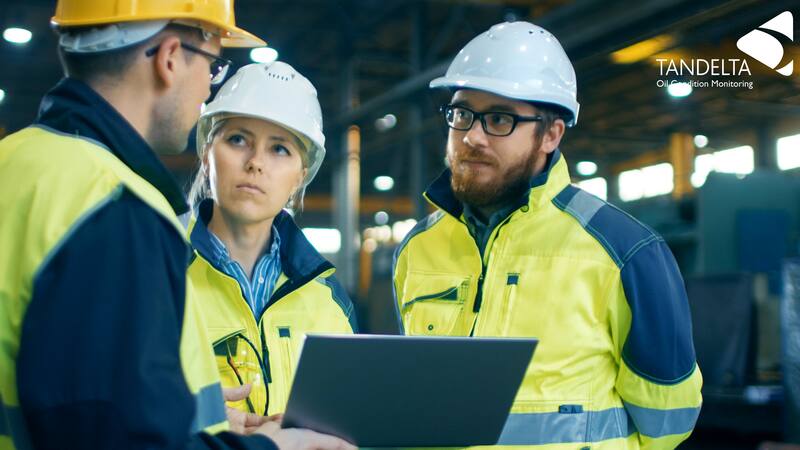 • Continual improvement, downtime shifts the priorities of maintenance staff forced to make remedial action instead of using their time to make permanent repairs and improvements to the equipment and business processes. Reducing downtime is obviously key to a healthy bottom line. Tan Delta’s oil condition monitoring technology allows companies to shift towards a preventative maintenance schedule. By measuring and monitoring their existing equipment and improving productivity, companies can gain a significant commercial advantage and minimise the true cost of equipment downtime.